The main stage — kineticFIELD — has caught fire during the second day of EDC Orlando 2018. 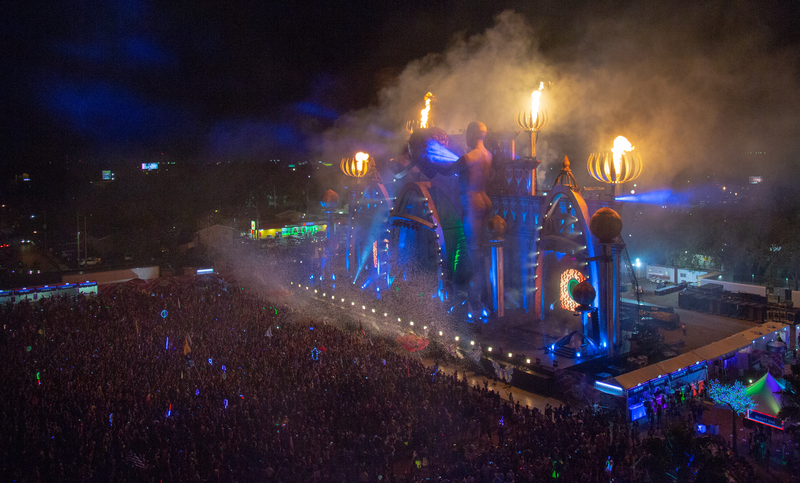 This is the eighth annual installment of Electric Daisy Carnival Orlando, which is being held at Tinker Field. It has been confirmed that during Kayzo’s main stage performance, the left-facing, upper-tower of the massively-constructed kineticFIELD caught fire. The EDC Orlando festivities have been put on hold and the main stage is currently being evacuated. Famously known for their pyrotechnics and fireworks, event promoters and producers, Insomniac Events has yet to release a statement about the fire. At this point, the cause of the fire remains unknown. It also is yet to be determined if there are any injuries to patrons, staff, or performers. UPDATE: Kayzo, the artist who just began his set at the EDC Orlando kineticFIELD stage, has been keeping fans updated on Twitter. It remains unknown as to whether the stage will open again this evening, fully functioning for its later-scheduled sets for Tiësto, Kaskade, Alison Wonderland and more. Check this space for additional details as they are made available.